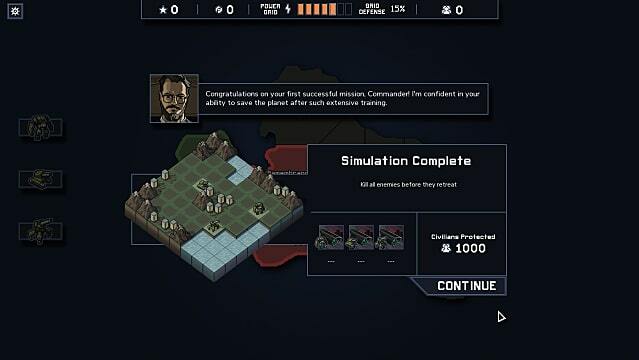 You wouldn't expect the makers of FTL to come up with a game that has all the strategy of X-COM, but could also somehow be put under the category of "casual." 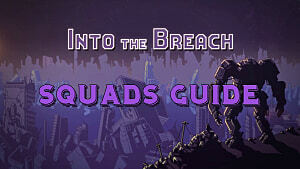 However, that's what you get with the gaming triumph that is Into The Breach. Although not stunning to look at, this little gem packs a whole lot of polish. The graphics are even more toned down than in the similar (but less well executed) Tiny Metal, but don't let that be a deterrent. 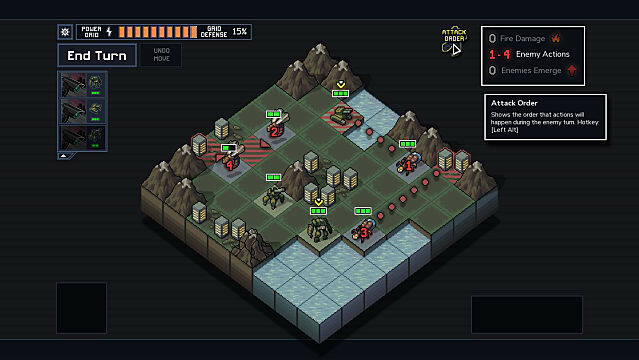 Into The Breach reduces every last element down to its most basic component parts on purpose -- and its a design decision that pays off nicely. Remember the "just one more turn" games like Heroes Of Might And Magic? Here it will be "just one more map" or "just one more reset" to see if you couldn't have completed that level a little bit better than the previous time. These blocky pixels pack a lot of punch! 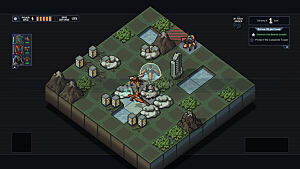 Every map starts as an 8 x 8 grid and you are always aware of all the mechanics and enemy attack patterns ahead of time, making the overall experience more like chess meets Advance Wars than the previously mentioned X-COM. 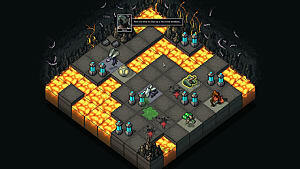 There's no fog of war, no giant maps to explore, no randomization in damage or tactics -- all resulting in a very simplified experience with the strategy component distilled down into its most pure essence. 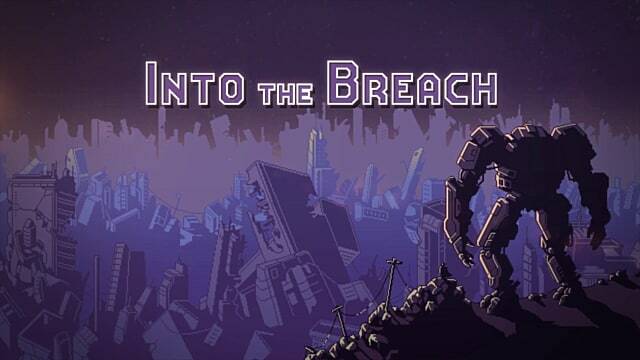 Honestly, Into The Breach is almost more a board game or a puzzler than a strategy title, but it keeps enough of a veneer of the mech versus kaiju strategy style to keep one foot solidly in that genre. While the map layout is randomized and you can choose where to place your starting units, there's very little in the way of RNG shenanigans in this game, so winning is very much about working the mechanics to your advantage instead of luck. 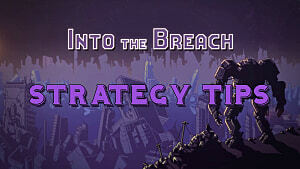 You know mostly everything ahead of time, including how and where an enemy will attack and where they will spawn. This means that positioning is much, much more important than dealing straight damage. The only concessions to the mighty and maligned god RNGesus are a small percentage chance that a building may survive an attack (starting at around 15%, so its not a solid strategy to rely on), and of course, the enemy AI of whether a giant insect monster will choose to attack a building or your mechs. 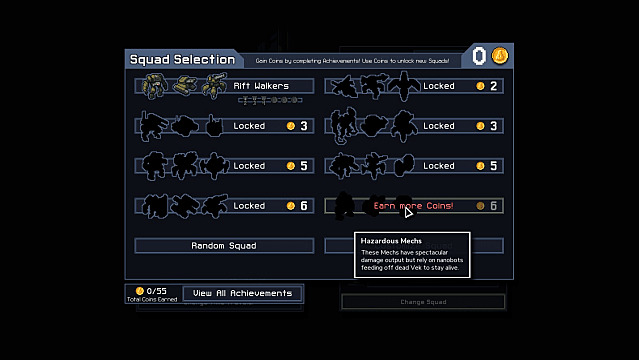 Varying strategies are available for different play styles depending on which mech loadout you pick, with more squads of mechs available to unlock as you complete achievements and bonus objectives. You might end up focusing on pushing and pulling units away from vulnerable cities, inflicting fire-based damage over time effects, going for straight damage, increasing health for mech damage soaking to outlive the enemy, or instead simply denying enemy movement. Each map is typically more about “How do I get this unit over here” than “How do I kill this unit outright?” In essence, you are more fighting against the map than the bug monsters. Sure, I can punch this bug and kill it immediately, but it will fly into a city and destroy it, reducing my grid health for this island, and that's bad. There's really only one sticking point in this addictive strategy/puzzle mashup, and unfortunately, it may be a deal breaker for those who loved the developer's previous smash hit. Simply put, Into The Breach is significantly easier than FTL in every conceivable way, although when you go into hard mode and start using randomized mech squads, the game does get a lot crazier. If you lose all your grid power over the course of the game, a surviving mech heads into a time rift and starts over, with your upgrades for one pilot still intact. From then on, you can pick any order to the locations, but losing isn't really a major setback since the maps have randomized layouts and objectives. There's no crazy final boss battle you might be expecting, and not much of a resolution overall at the end, but that may be expected based on the game's time travel/dimension hopping storyline. This isn't a game that's really about lore. The backing story of a bug invasion following the earth being swallowed by rising seas is a vehicle for the mechanics, and not really the focus or anything to get hung up on. 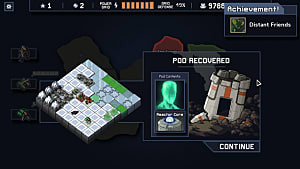 Landing somewhere between puzzle and strategy, Into The Breach has a very satisfying mix of casual drop-in-and-play mechanics with a surprisingly in-depth level of tactical options. It's easy to think of ways in which the game could be expanded down the line with different map types, enemies, and attacks as free updates or DLC, although that might take away from the core simplicity. While the game is easy to learn, there's more here to mastering the mechanics than may be apparent at first. Surviving the level might be one thing, but surviving without losing any buildings while still completing the bonus objectives is a completely different challenge. There's some major thrill to be had when pulling off a crazy combo, getting all the units into just the right places, and some unexpected moments of elation when you accidentally put someone into position for the perfect attack or movement. 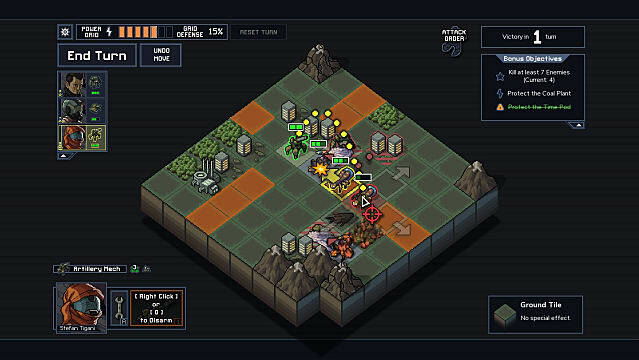 Simply put, Into The Breach is addictive and has plenty of strategy without being frustrating, making it the best of all worlds.